All shellfish removed for human consumption from Pilling Sands East must be accompanied by a shellfish registration document. Shellfish registration documents can be obtained from Wyre Council food safety section. 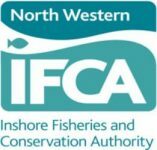 Visit http://www.wyre.gov.uk/info/200408/food_safety/1022/shellfish_harvesting to obtain information regarding the legal requirements surrounding the harvesting of shellfish for human consumption and links to obtain Registration Documents.